As erudite, illuminating and incisive as our five six word review* of Old Homestead’s food was, the message didn’t sink into the wine-soaked sensibilities of some of our loyal readers. So we thought we’d post some of our better tasty snaps along with whatever pithy or condensed comment sprang into our spirits-soaked brain as we were chowing down on our three meals here. As for the beef, we found it to be top tier and possessed of a nice, round, roasted earthiness you find in better beef — not as funky as Carnevino’s but as satisfying as a steer can get that didn’t also supply leather for your wardrobe. The bread is one of our town’s best, the salads look like someone in the kitchen cares what they look like, and the steakhouse standards: wedge salad, crab cakes, roasted breast of “Petaluma” chicken, et al, all make up in quality infrastructure what they lack in imagination. Put everything together, and you have that rarest of creatures: a spinoff restaurant that’s actually better than its flagship. (ELV has eaten in OH multiple times stretching back to the late 80’s and most recently a year ago. Calling it tired and run-of-the-mill is like proclaiming Greeks to be bad accountants. Writing the whole operation off has been practically a cottage industry for Big Apple food writers, who have gone out of their way to ignore it during the past decade’s steakhouse boom all around Manhattan. Luger’s gets all the love, while OH barely rates a shrug. These things cannot have escaped Mark and Greg Sherry, who have owned the operation since the 1970s. They’ve watched their iconic brand languish while brighter, shinier objects attract the steak gaze of the carnivore chattering classes. 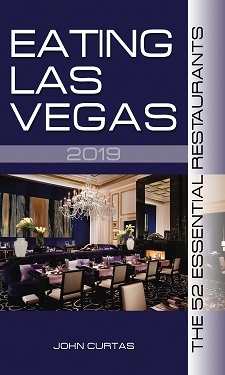 Now, with the marketing muscle (and kitchen talent) of Caesars Palace behind them, they can reclaim some open range for a 134 year old brand, and make a mountain of money while they’re doing it. Bully for everyone but the poor bull. Once again, you’ve got it wrong. OH is not only an unnecessary steakhouse (there are so many) but it’s a particularly ordinary one, and deeply overpriced. You must be getting a lot of free meals there to write a fawning puff piece like this one. You clearly have not shame (not that you ever did). It’s actually a six word review but who’s counting? You must be joking; food looks less than ordinary. The Meatball looks lonely in the sauce. To qualify my commentI usually trust your judgment but these dishes look contrived; as an example those stupid little bottles of Tabasco and lemons wrapped in???. Why not a serious whole bottle if in fact you want to have the customer enjoy the Tabasco? I have seen better in so called upscale chains as for as presentation. I have not participated in eating there but just observations from your photos. Joseph – Take a trip to NYC, you will soon learn that the Old Homestead is not ordinary. This is one of the originators of the genre, most steakhouses copy the Old Homestead model, and they do so poorly. I am not a steak house junkie, in fact I rarely eat steaks unless they are dry aged by chef Nichole B at CV, but I do appreciate a what the OH has done both for the quality of the food and also for the quality of service and environment. Its a real classic, and its good to see the OH arrive in Vegas after a side trip to AC (where it is one of the only great places to eat at the Borgata). Joseph got it correct. What he didn’t mention was the quality of the meat was probably one of the worst I have had on the strip…and to add most of what I tasted was horribly overcooked. It looks good but there is no competition with the rest of what is on the strip. Nero’s was a very good steakhouse (when Chef Sean Griffin was there a great steakhouse) that had relatively little to no brand awareness outside of the hotel’s guests or repeat customers and, from what I understand from a financial standpoint, it did just fine. But perhaps Caesars is trying to capture the Rao’s lighting in a bottle again – historic NY brands that make a huge media splash in Vegas. Toss in Mesa Grill and Payard’s Patisserie/Bistro and they bring a little slice of the Big Apple to a very condensed area. Hard to blame them if indeed that is their motive. I haven’t tried the steaks yet but look forward to doing so soon. This joint is overpriced. Come on, John! Free meals don’t always warrant praise like this. Just another steakhouse, period!!! You’re cutting down the review, not based on YOUR own experience, but rather on the photographs?